Born inside the Ravensbrück camp and baptised shortly after as his mother was afraid he would not survive. How much did Piotr weigh then? 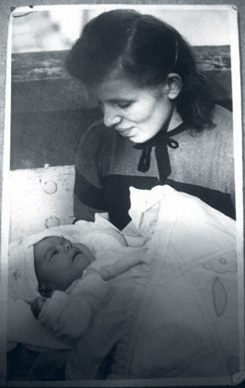 Piotr Górski (Masiak) was born in Ravensbrück concentration camp on April 19, 1945. This was just one week before he and his mother Maria were rescued by the Red Cross to Malmö, Sweden, on April 28, 1945. At this point Piotr weighed only 1,4 kg. He was baptised shortly afterwards as they were afraid he would not survive. Maria was captured by the Germans during the Warsaw Uprising in 1944 and deported to the Stutthof camp. 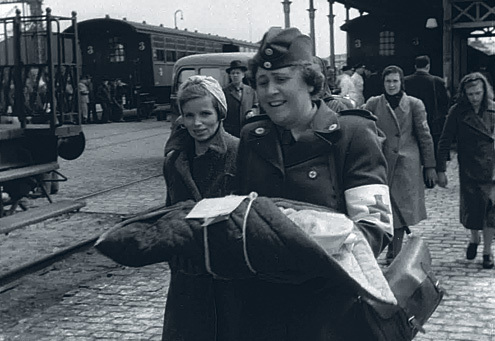 When her pregnancy became visible she was moved to the Ravensbrück camp. A couple of months after they had been taken to Sweden Maria returned to Poland with Piotr. Today Piotr lives in the small town of Drezdenko. If you would like to add information to Piotr’s story we will be very happy to hear from you. Please write an email to our researcher Sebastian. If you can help us with further information about Piotr Górski we will be very happy to hear from you. Please write an email to our researcher Sebastian. 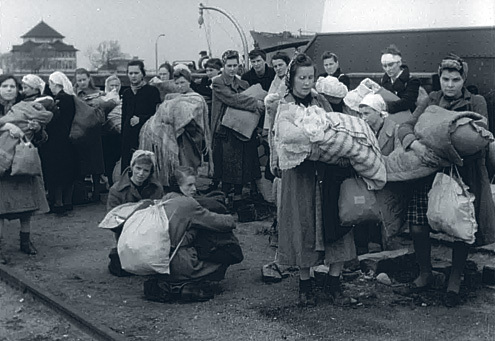 Nine days old Piotr and his mother Maria (white headscarf) in Malmö harbour on April 28, 1945. 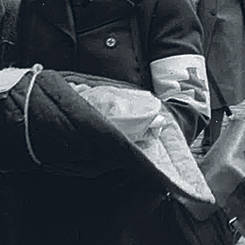 Piotr held by Red Cross nurse Agda Hallberg. Mother Maria kneeling. Piotr hidden under the blankets. 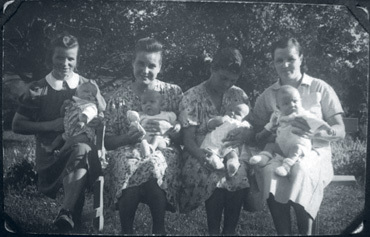 Piotr and Maria (left) with other survivor mothers with babies. 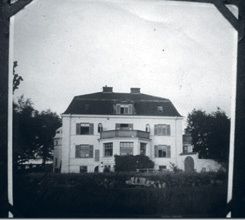 Villa Krönlein in Landskrona, summer of 1945. 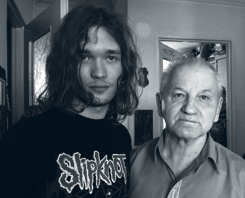 Piotr and his son in Drezdenko, Poland 2014. 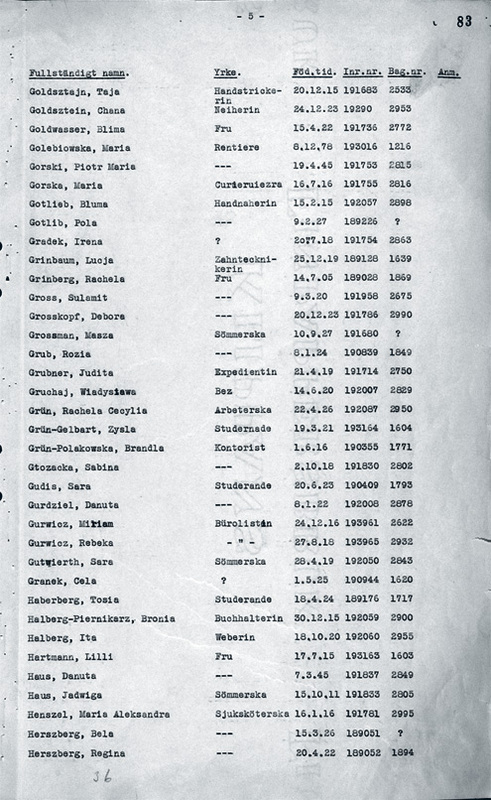 The passenger list from the ferry to Malmö on April 28, 1945.